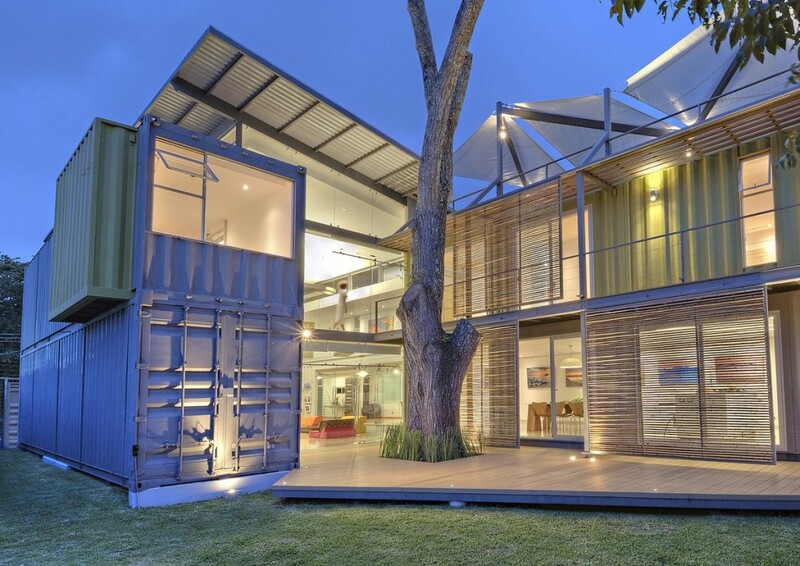 The humble shipping container. It gets crammed in side by side with hundreds of others and stacked a half-dozen high on a slow boat to the other side of the world. 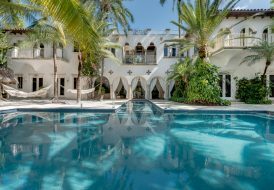 It’s perhaps the farthest thing from luxury in this, its natural state. Somewhere along the line, the idea of turning one of these plain steel structures into something that passes for habitability—the earliest patent was filed in 1965, and you can read about subsequent patents here—sparked. But could Christopher Betjemann, who first envisioned shipping containers as exhibition booths, have ever imagined them as luxury residences? Perhaps not, but, thankfully, many other innovators have. 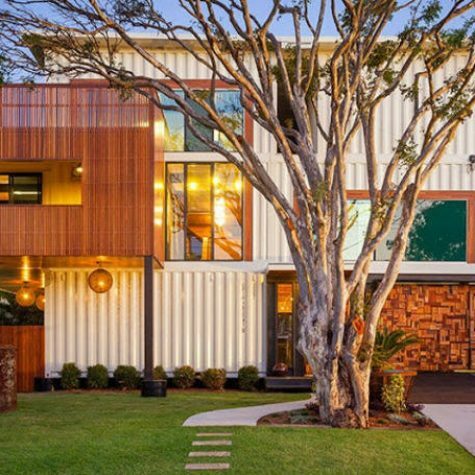 While much of the growth of shipping container homes in recent years has been centered on tiny homes and ultra-affordability, the market for luxury container homes is also growing exponentially, all over the world. Thomas A. Kligerman, partner at New York and San Francisco-based architectural firm Ike Kligerman Barkley, notes that sustainability is one of the main draws of today’s luxury container homes—which makes sense considering there are 20 million containers traveling on the oceans at any given time and “300 million unused shipping containers just sitting in landfills,” said CBS. Many are simply discarded after completing a trip because of the expense of sending them back to the originating country. Let’s take a trip around the world to see some of the most spectacular luxury container homes around. 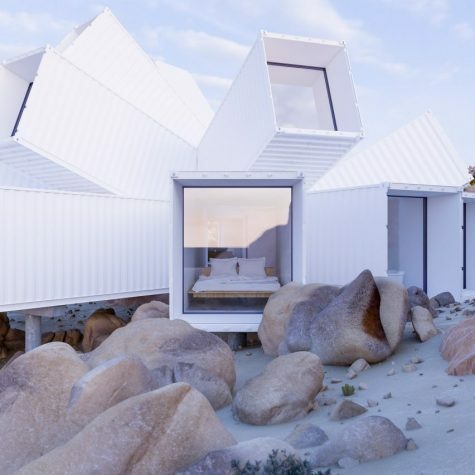 The Beach Box, as it’s known, is one of the United States’ more famous container homes, as desirable and innovative as it was when it was first built in 2011. 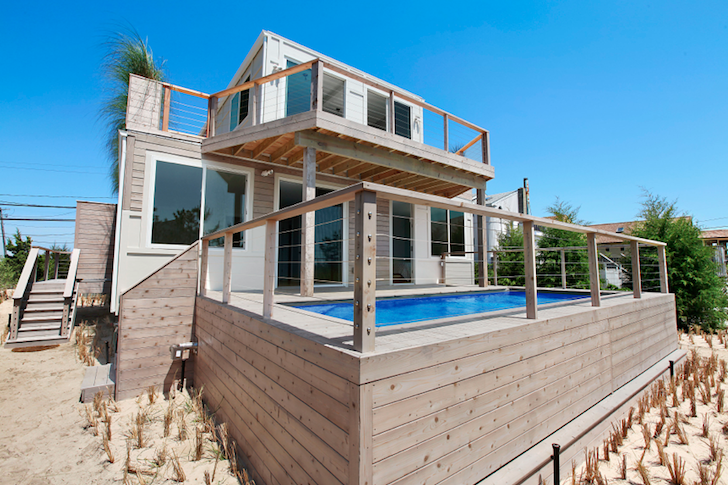 Constructed from six shipping containers, the Hamptons home measures about 2,000 square feet with four bedrooms, two-and-one-half baths, and 1,300 square feet of decking with a pool and roof deck, which opens up views of Napeague Harbor and the Atlantic Ocean. 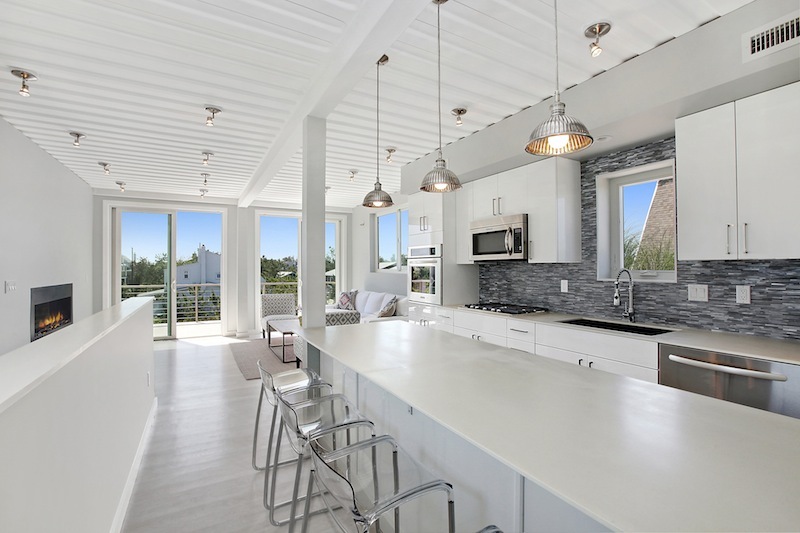 In addition to repurposing shipping containers, the home features certified sustainable materials including a white rubber roof, which is known to reduce energy costs, cypress siding, cedar decking, and bamboo fiber in the custom chef’s kitchen. 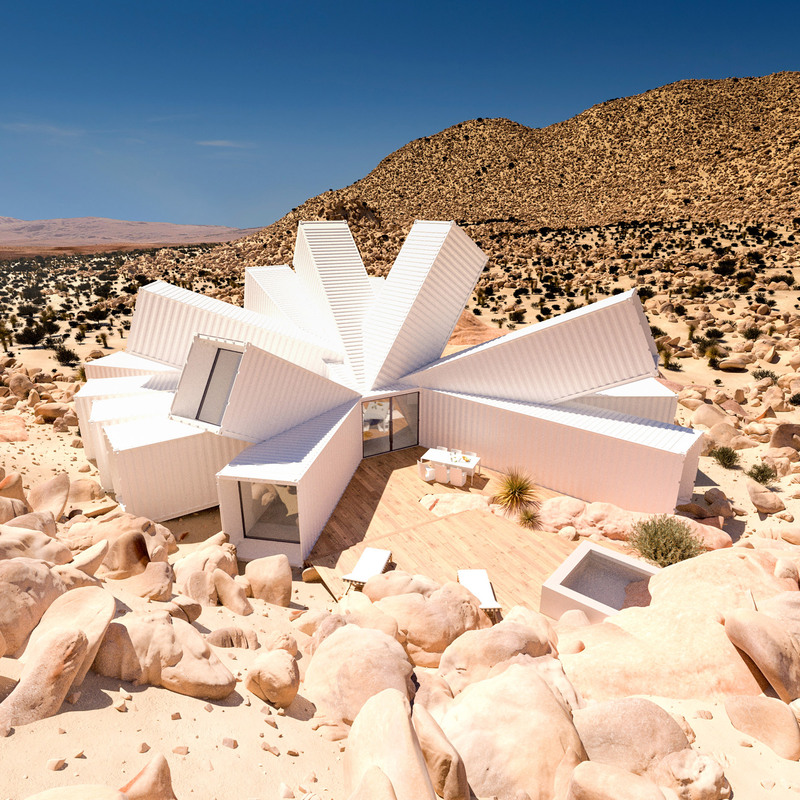 Homes under construction don’t typically get the type of attention this shipping container home as received, but Joshua Tree Residence, located in the California desert, is not your average home. 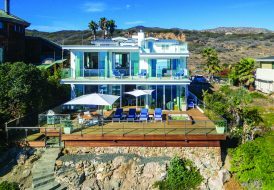 The 2,100-square-foot, three-bedroom residence is designed in a distinctive starburst shape with containers jutting out in every direction. Now completing the design phase with construction set to begin later this year, the home is from London architect James Whitaker, with inspiration provided from one of his previous designs, Hechingen Studio, a starburst-ish container office building intended to be built in Germany (but never realized). 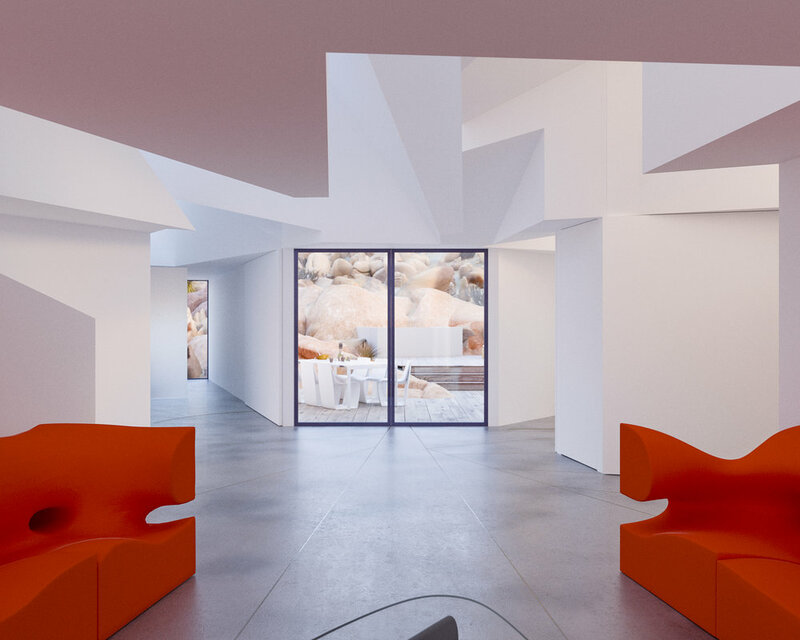 Painted bright white, the containers provide a distinct contrast to the rocky desert terrain, while the entire residence has been situated to take advantage of the landscape and provide privacy to residents. 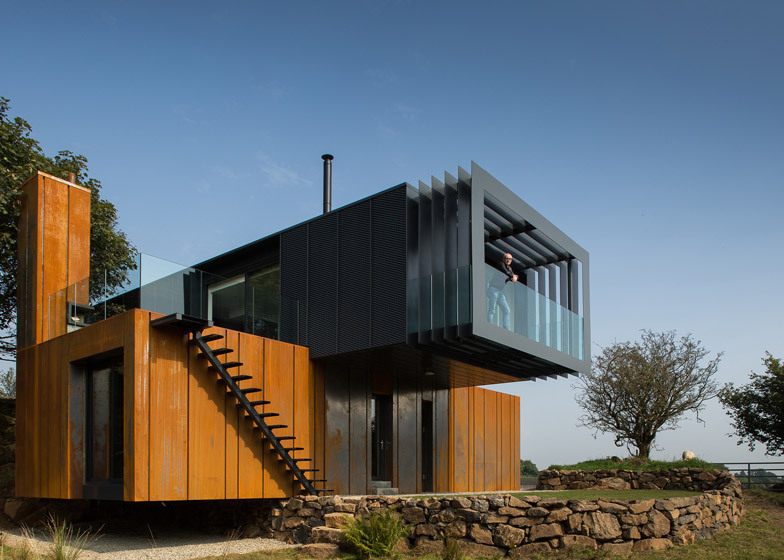 The first modern shipping container home to be designed and built in Ireland, this architectural marvel weaves together four 45-foot shipping containers in the primary structure, creating two large cantilevers that extend out. Smart siting allows the Northern Ireland home, which is located on the banks of the Grillagh River, to enjoy picturesque views of its stunning rural landscape. 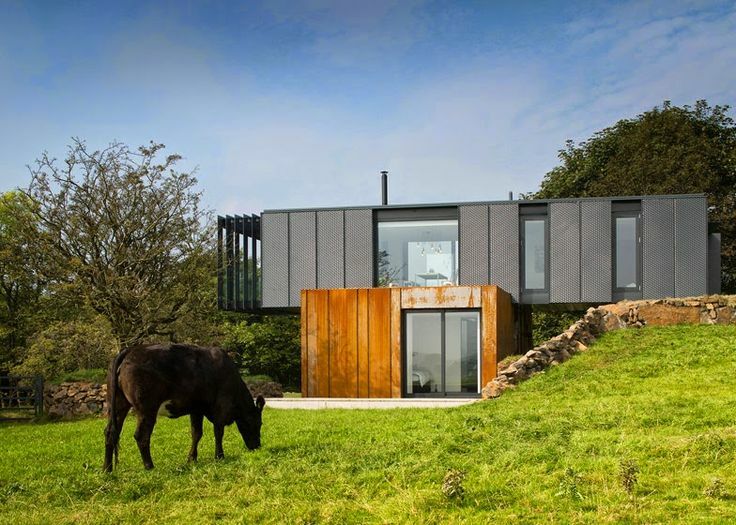 Built by Patrick Bradley Architects, the residence offers a uniquely sculptural feel within the modern framework of a shipping container home. 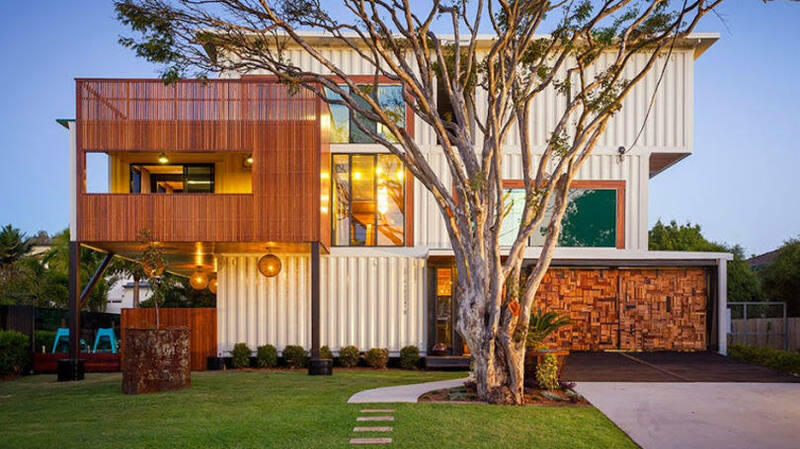 The largest shipping container house of its kind in Australia, Graceville from Zeigler Build required 31 containers to achieve its 6,000 square feet. 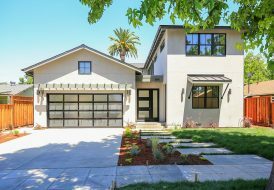 The three-story structure took six months to build, using ample glass and industrial touches to create a sprawling residence that makes a statement in a more traditional family neighborhood. 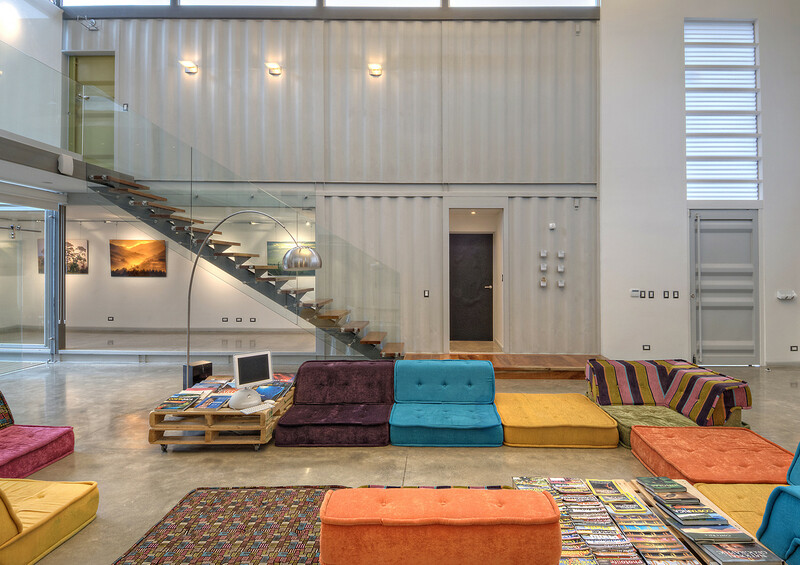 Built in 2013 by Maria Jose Trejos, Incubo House is a feat of both architecture and sustainability. The residence comprises eight large containers and was constructed so as to permit views of the site’s original cedar tree from every room of the house. Mobile bamboo exterior panels provide additional eco-friendliness (and attractiveness), while renewable, reusable and recyclable materials throughout the home helped to lower both the cost and building timeline—by as much as 20 percent, according to the architects. This striking structure is not a residential building, but rather the visitor’s center of Devil’s Corner, Brown Brothers’ Apslawn, Tasmania winery. 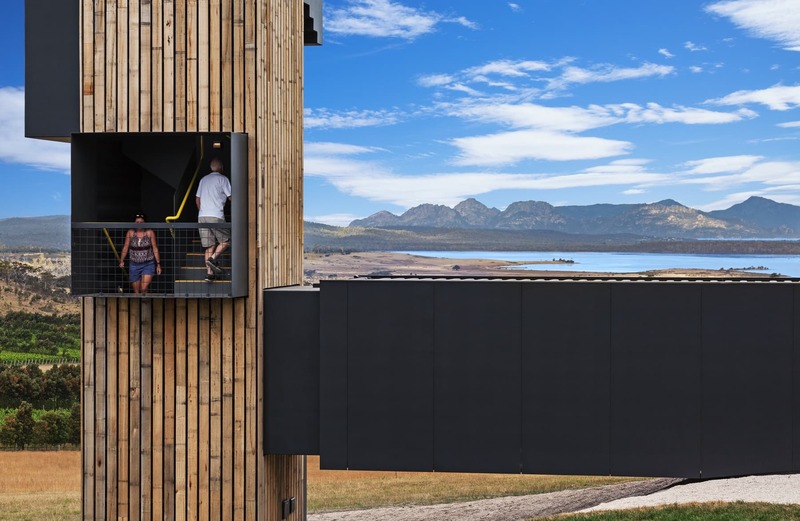 Cumulus Studio used timber-clad shipping containers that were carefully placed to maximize views and give visitors something entirely new to look at. 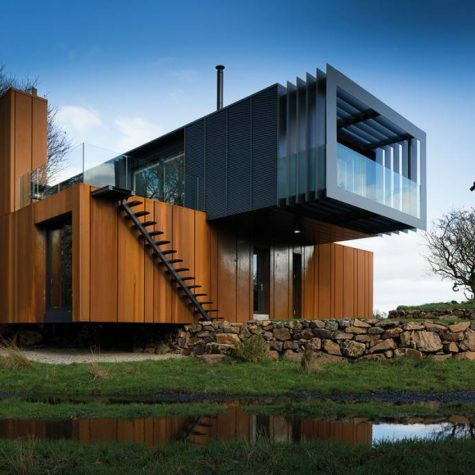 This project won numerous architectural awards, including the Tasmanian Architecture Awards: Colin Philp Award for Commercial Architecture, and the Colorbond Award for Steel Architecture, and was recognized at the 2016 National Architecture Awards with a National Commendation for Commercial Architecture.